"Ann Blyth and Bing Crosby in Lux Radio Theater Top o Morning"
So often a whole career seems to be defined by a single event. It is only when we look more closely that we can appreciate the variety and depth of a Hollywood career. In the minds of many classic movie fans, Ann Blyth will always be remembered the girl who got to slap Joan Crawford in Mildred Pierce (1945). Granted, as far as on screen slaps go, it was a doozy! The picture won Academy Award nominations for Best Picture, Best Writing and Best Cinematography. Ann and Eve Arden were both up for Best Supporting Actress and Joan was awarded the Oscar for Best Actress. Mildred Pierce helped to establish Ann as a serious film actress, but even though she was still in her teens while the picture was being made, she was already an established star on the rise. 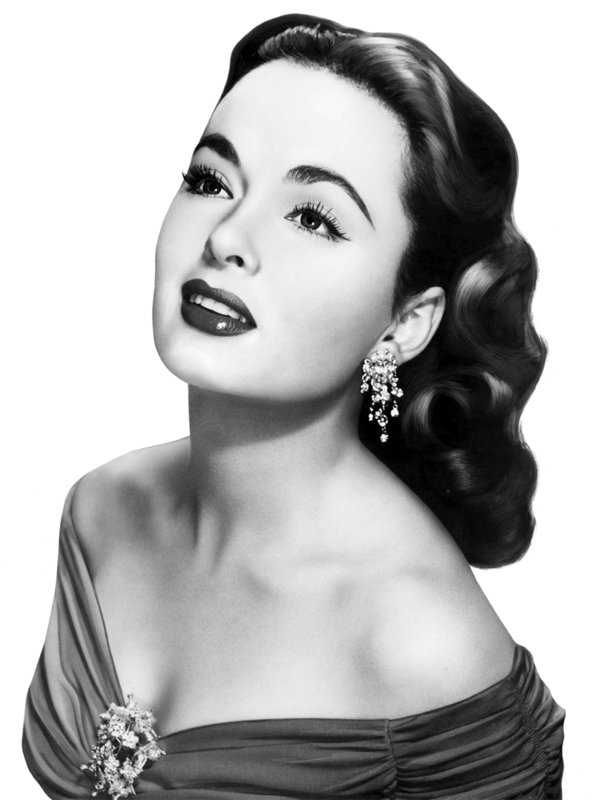 Ann Marie Blyth was born on August 16, 1928, in Mount Kisco, New York. Harry and Nan Blyth split soon after Ann was born, and Nan took her to live in New York City. Nan encouraged Ann’s love of singing, and when she was just six a friend suggested that she should be taken to a local radio station for an audition. Radio was beginning to boom in the New York market, and Ann had a local show for six years (future opera star Beverly Sills was singing on another station in “Rainbow House” on a competing station in the same timeslot). Exposure on the radio helped Ann to win a spot in the New York Children’s Opera, and soon a part in the award-winning Broadway Production of The Watch on the Rhine. Ann toured with the show, and while playing the Biltmore Theatre in Los Angeles, Universal director Henry Koster saw the show one night and offered Ann a screen test. After the test, Universal offered her a seven-year contract. At the time, Universal was “the smallest of the big studios”, and the close-knit community was just what the pretty young woman needed. Her film debut was in Chip Off the Old Block (1944) with Donald O’Connor, Universal transparently trying to create their own version of the Mickey Rooney-Judy Garland pairing. Even though the studio was banking on Ann’s reputation as a demure teen, she was loaned to Warner Brother’s for Mildred Pierce. Her portrayal of Veda Pierce, the spoiled, ambitious and conniving daughter of the title character was totally against type, but Ann’s agent was sure she could handle the role and managed to get her a screen test. Ann would later relate that although several actresses sought the part, she was fortunate enough to do her test with Ms. Crawford herself, and the two hit it off immediately. After Mildred Pierce opened, Ann took a winter vacation to Lake Arrowhead with her mother and friends. While playing in the snow, she was thrown from a speeding toboggan and broke her back. At first, doctors fears she would never walk again, but through determination and support for Mama Nan, Ann made a full recovery in 14 months. However, the time in recovery kept her from capitalizing on the popularity gained from the Academy Award nomination. She would go on to appear in a number of romantic comedies with stars like William Powell, Mario Lanza, Robert Mitchum and Gregory Peck. Her last picture would be The Story of Helen Morgan (1957) with up-and-coming heartthrob Paul Newman. 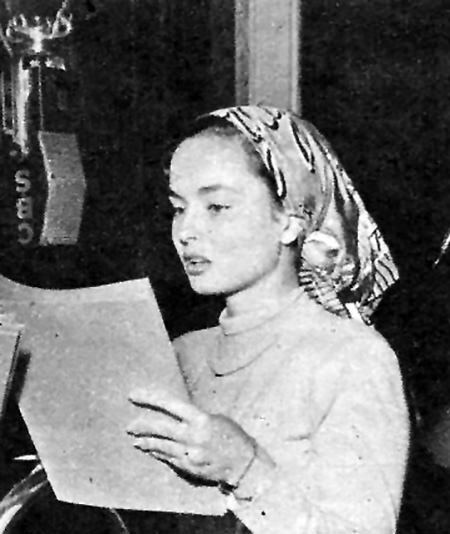 Like many other starlets, Ann made her rounds on radio, mostly in support of her films on adaptation programs like Lux Radio Theater, Lady Esther Screen Guild Theatre and Skippy Hollywood Theatre. She was also popular on several dramatic anthology programs like The Cavalcade of America and The Hallmark Playhouse. On March 17, 1952, as a St Patrick’s Day treat, Lux reprised the Bing Crosby picture Top o’ the Morning (1949). Ann and Barry Fitzgerald were able to appear in their roles from the film, and the singing insurance investigator who recovers the Blarney Stone was played by the popular tenor from The Jack Benny Program, Dennis Day. Although it is not documented, we can infer that Dennis brought his brother, North Hollywood obstetrician Dr. James McNulty, to rehearsals and the broadcast. 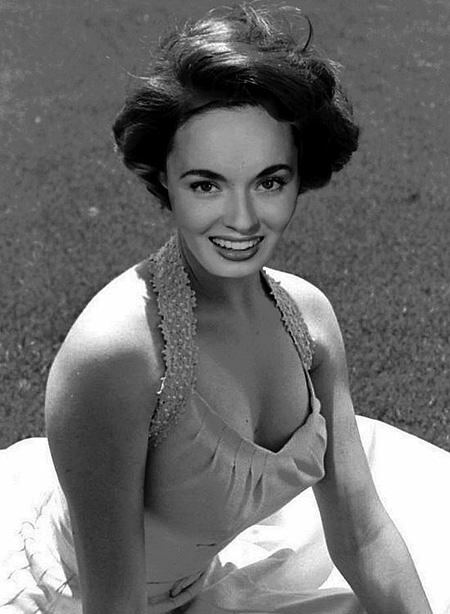 We make this inference because on June 27, 1953, Ann Blyth became Mrs. Dr. James McNulty. He was 35 and Ann just 24, but the couple remained together for the rest of McNulty’s life. A Star on the Hollywood Walk of Fame at 6733 Hollywood Blvd honors Ann Blyth’s contributions to Motion Pictures. Be the first to comment on "Ann Blyth"